YouTube remarketing isn’t some flash in the pan marketing opportunity. 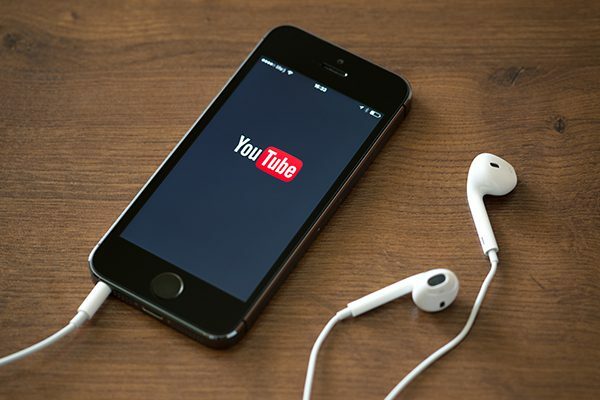 There are over 1.8 billion monthly active users worldwide on YouTube. That’s more than Instagram, Twitter, and Snapchat combined. But how can retailers go about leveraging YouTube remarketing as a part of your overall strategy? Let’s take a look at how one company did it, and the overall effect it had on their business. In 2015, Brighton, a leading retailer of designer jewelry, handbags, and accessories, was looking to utilize their video content to increase online transactions. To do this, they joined forces with ROI Revolution. With a strong focus on goal-setting and realistic expectations, ROI Revolution was able to structure a plan that would focus on solid reporting, testing, and optimization while working within a strictly monitored budget. With video ads in place, ROI Revolution rolled out the YouTube remarketing campaign in August of 2016. Within a few months, they were already seeing outstanding results. They received nearly 9,000 views, 2,000 engagements, 300+ clicks, and more than 150 conversions in November alone! Since the launch of the program, Brighton has seen a nearly 7:1 Return on Ad Spend (ROAS) with more than one in every 10 remarketing transactions coming from YouTube video ads. With a focus on previous purchasers, cart abandoners, and highly engaged users, Brighton has seen tremendous growth in their YouTube remarketing campaign as they continue to expand it in new directions. Have a solid remarketing program already in place. If you aren’t currently doing some form of remarketing (social media, post-purchase sequences, customer appreciation programs), that should be the first priority. A big reason for Brighton’s initial success was due to their robust video content library. Having the ability to create content quickly and an initial video content library is essential to success. Be cautious of your bidding strategy. Bid down on mobile and tablet so as to not blow through your budget too quickly. While there is a huge audience for mobile and tablets, make sure it is the right audience for your business. Pay attention to your earned views. Getting repeat traffic is a universal gauge of viewer interest and ultimately leads to more consumers who will convert. If you’re looking for an even deeper look into how Brighton was able to achieve such incredible results with YouTube remarketing, take a look at the case study YouTube published on their agency page. This case study further showcases the incredible collaboration between ROI Revolution and Brighton, and demonstrates how YouTube remarketing can have a huge impact on retailers. To learn more about digital marketing opportunities that can positively impact retailers like you, download our special report on the Five Underutilized Developments in Ecommerce Digital Marketing. This report outlines high impact strategies that retailers can implement today to grow business and gain a competitive advantage.